They say that history repeats itself. There was a time when every software tool was developed in-house. The IT department dictated how organizations worked and then we saw the big boys of ERP step into the business turf. I remember the confusion and chaos which accompanied adaptation of ERP packages like SAP and Baan. Most of the ERP implementations were massive failures because the employees who were used to the old ways were reluctant to learn the new ways of doing business. In a way the cloud has ushered in the old by challenging existing business processes. Organizations are now learning that migrating to the cloud is not as simple as toggling a switch. Every successful cloud implementation will have to undergo painful pangs of business transformation. 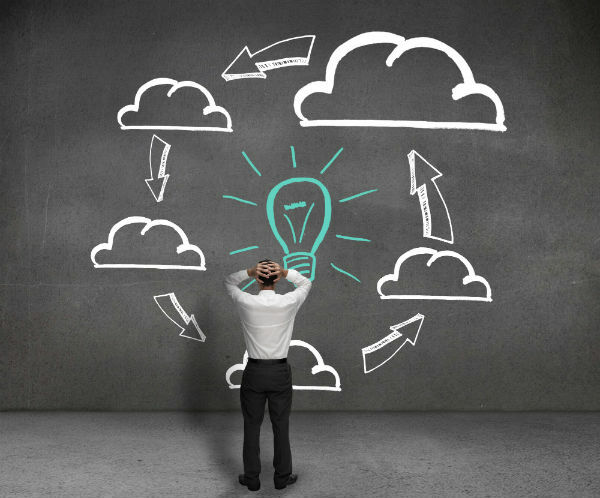 Business processes and cloud adoption must happen simultaneously in order to be effective. Will the CIO become redundant? This is a Catch 22 situation. The IT department has to work hard to achieve successful migration to the cloud which will in turn make them redundant. The tech guys, in a way, are working to sack themselves. I know that these things are talked about in whispers but the fact remains that this is not an ideal situation. The question is how to manage an IT workforce with such a huge dilemma? I have no simple answers. One possible solution is to transform hitherto purely IT assets into business process enablers. By doing this you will at least ensure that the IT staff doesn’t face a bleak future. A few redundancies will be inevitable, but then we are all used to downsizing. Coming to the question of CIO, there are two distinct possibilities. One is that such a position will no longer exist in future. The information stream of an organization will simply merge into management processes. Another view is that whatever may be the state of affairs, a CIO will be required to manage the new order of things. Software will not disappear, nor will the infrastructure requirement, only the color and shape of technology will change. Outsourcing of software as a service and Infrastructure as a service in the cloud will certainly require extreme adaptation by the new CIO. Will the cloud lead to flatter organizational structure? The deduction is easier in this case. Of course organization structures will dramatically flatten and fold up. Multi-disciplinary managers will appear on the scene and will need to multi-task various functions within an organization. An HR boss may eventually handle IT infrastructure by outsourcing to a cloud vendor. Managed cloud services will be both effective and economical. The same HR boss would also manage software using Saas providers. Ultimately, in-house staff of an organization will deal purely with business processes and core management activities. The focus will be on sales and margins. Rest everything will be left to the cloud to handle. This ideal situation will emerge only when present day business owners will be ready to face challenges in the way they work and organize themselves.